Everyone is friendly and they provide the best customer service experience ever. Noemi was fabulous, went above and beyond to make sure that our first impression was amazing friendly kind professional and would highly recommend her customer service to everyone who we know. Jerome was great, we came in knowing exactly what we wanted and he made it happen as easy as possible. The service here at Chevy is incredible. Best dealership experience this far. 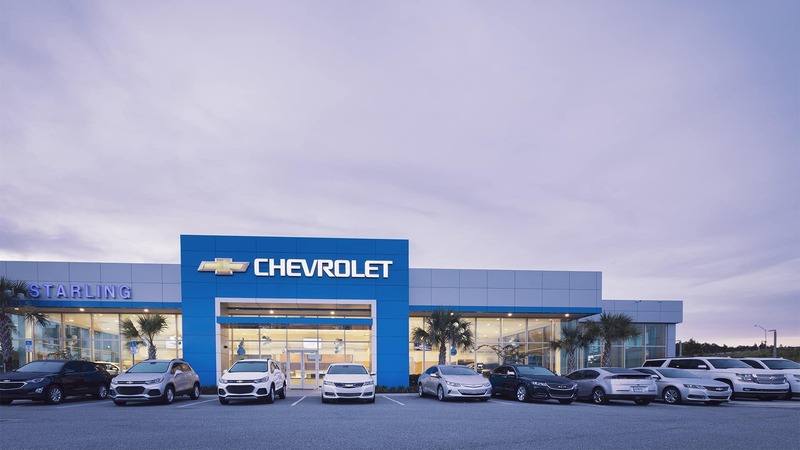 Thank you for making your way to Starling Chevrolet, your certified Chevrolet dealer serving drivers throughout Orlando and the surrounding areas. At our dealership, you’ll find a solid selection of new Chevrolet for sale, as well as a carefully inspected lineup of pre-owned vehicles. We also have a well-connected finance center run by a qualified team of finance experts, who can help you get the right loan or lease in a quick, easy, and transparent manner. Our commitment to our customers continues well beyond the date of purchase. We also have a professional team of Chevrolet technicians on hand with the skills and equipment to handle all manner of maintenance and repairs, as well as a full stock of authentic parts. Make your way to Starling Chevrolet in Orlando today for quality vehicles, a friendly team, and professional service at every step of the way. And if you have any questions for us, you can always get in touch at (321) 445-1987.